I’ve been growing more and more interested in South Asian embroidery. It’s wonderful stuff! In fact, I’ve found some great books in the library, so you’ll be seeing the results from that expedition at some point. 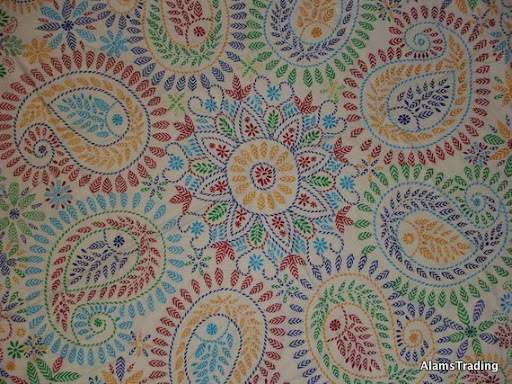 In my last post on kantha embroidery (which is done entirely in running stitches) I linked to a lot of tutorials but not many pictures of the results. 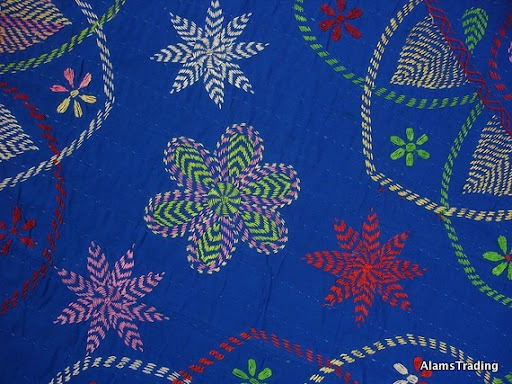 I’ve continued looking for information, and found these absolutely fantastic photos in an etsy shop for modern kantha embroidery (it’s based in New Jersey). 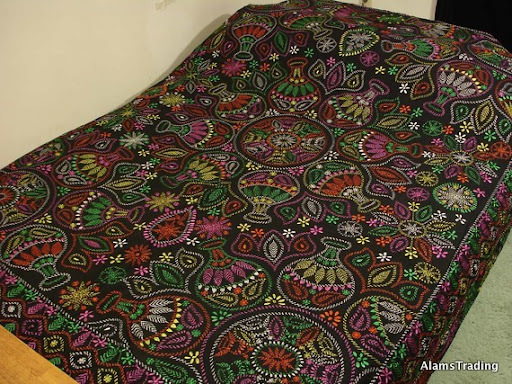 This entry was posted in Indian embroidery and tagged embroidery, kantha, Running stitch. Bookmark the permalink. It’s amazing how many different things you can do with thread. 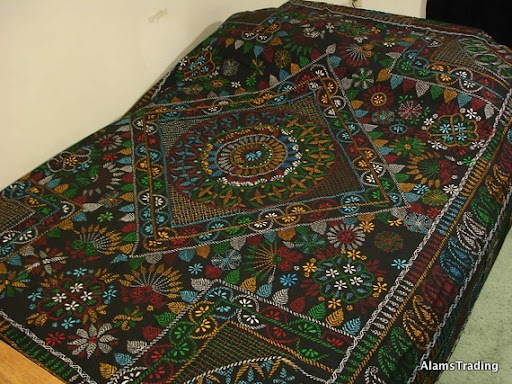 I think it’s actually reasonable pricing for handmade bedspreads in the US. Though I can see how it would seem ridiculous from India. This embroidery is amazing!! I like, I like!!! Although the embroideries in that Etsy shop are divinely gorgeous, I’m horrified by the cut-rate prices. I’m guesstimating that person is making about $1 per hour. This example illustrates why textiles are never given respect.